Our law firm's founder, attorney Matthew Boyd, has practiced law for more than 16 years. During that time, he has achieved notable success advocating on behalf of individuals and families in need, and he established our law office with a mission to deliver the compassionate, knowledgeable legal counsel on which our clients can rely during their most difficult and uncertain times. Aggressive and detail-oriented, we promise to do whatever we can to help you protect your rights and interests and obtain the most favorable outcome possible for your situation. Over the course of our history, we have earned numerous awards and honors for our professionalism and service, including the 2011 Citizen Lawyer of the Year award as well as recognition as being among the Top 100 Lawyers and Top 50 DUI Attorneys in the country. 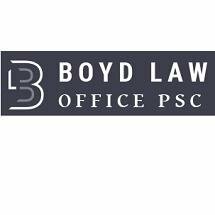 For more information on how the Boyd Law Office can best serve your needs, you can call our office or visit our website to schedule an appointment for an initial consultation concerning your matter.